The Sub 70 Demo Program is currently available to golfers located in the continental United States. Unfortunately the cost and time required to ship demo clubs outside of that area will not allow us to do so. Please keep in mind that we do offer a 60 day guarantee on our equipment. If you are interested in our products, please order with confidence. If you are unhappy for any reason just let us know. We will do everything we can to make it right and will facilitate a return if necessary. Each demo club will be packaged and sent out with a pre-paid return label. The golfer will have 10 days from the day the clubs are received to test the product. The equipment must be repackaged and sent back using the pre-paid label within that 10 day time frame. The final cost to the player for this Demo Program is $20.00 which is used to ensure that the clubs are packaged and shipped properly. When completing the checkout process the golfer will be charged $220.00 for drivers and $120.00 for all other demo products. HOWEVER, upon return receipt of the clubs at our facility, golfers will immediately be refunded $200.00 for drivers or $100.00 for all other clubs. 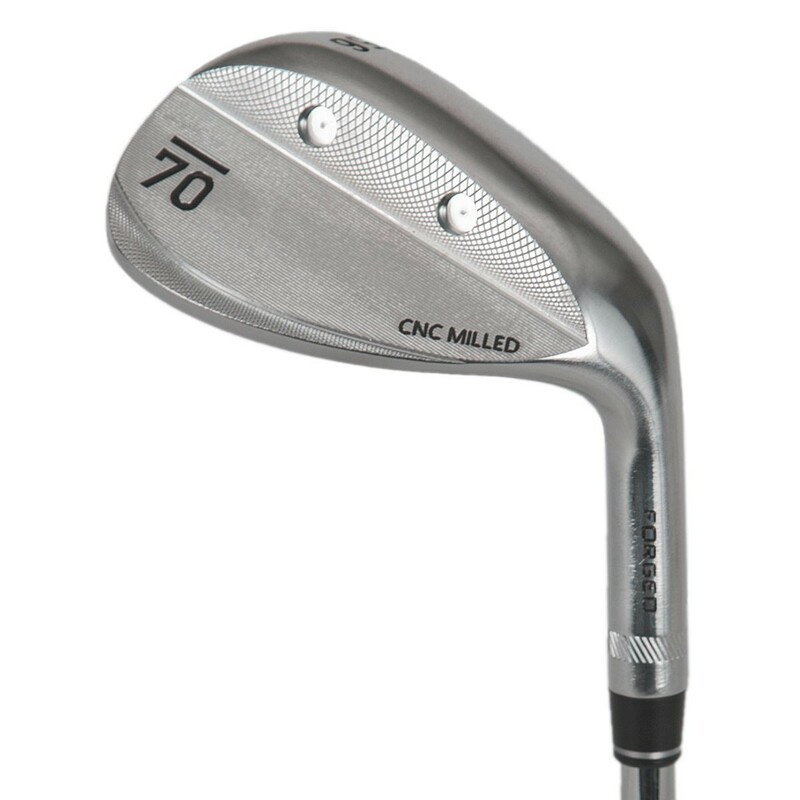 The Sub 70 Forged Wedges are specifically designed to provide tour level precision for all types of swingers and turf types. The face is precision CNC milled to provide maximum spin and control, while the DT-4 stainless steel is soft enough to provide instant feedback. After many rounds of testing, weight was removed from the rear sole to help generate the tour flight that players desire, while bestowing forgiveness on off center strikes. In the hands of players of all skill levels, the Sub70 wedge encourages the ability to remain aggressive throughout, with feel and stopping power on the greens that performs in all conditions. The sole design is impeccable in its universality. The ever so slightly rounded leading edge discourages the club from digging in, but is also cambered to supply confidence on tight lies. From sand to fairway, and from flop to piercing, the Sub 70 wedge furnishes tour level performance and looks for all conditions, and all players. • Entire contents Copyright © 2019 Sub 70 Golf.